Dial up ISP internet access from ADNS - Miami's affordable internet service provider. Finally an all in one solution for your customer service needs! and keeping track of clients and communicating with them. Safely login to your appliance through the main page. You can search your clients or show all at once. Add your own services and prices. To be added to your clients profile. Authorize.net and paypal shown in sample. Here you can mail out invoice paid confirmation. Sends out e-mail to client telling them that bills are pending. You can have you clients upload files to your appliance for safe and convenient retrieval from anywhere is the world. No more file diving! client and the client can send private messages to you. Here you will store your clients credit card numbers in an encrypted folder where they can be stored for billing Daily, monthly, Quarterly, Every 6 Months, Yearly. Whatever you set up in your clients profile. Assign client as many services as they have with you. Send out invoices to client who do not have credit card on file. 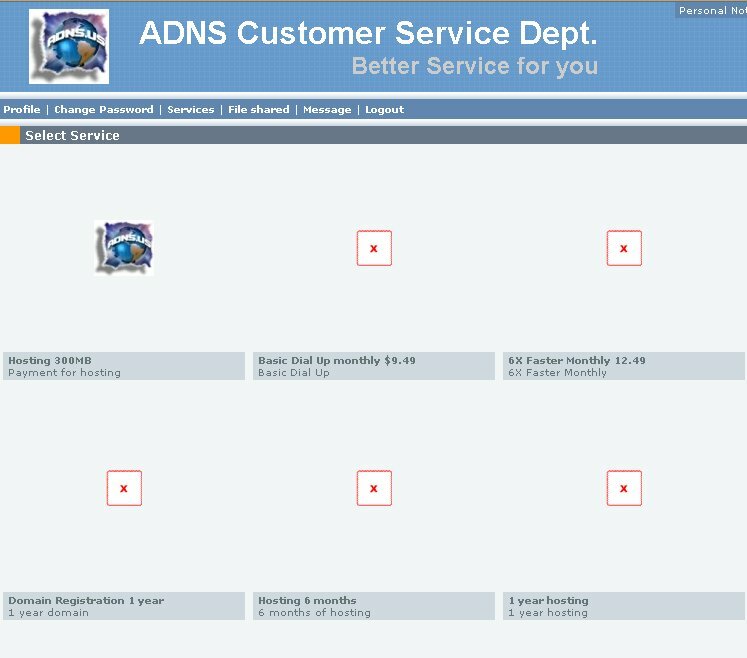 Once you have set up your service and you client logs in they can choose the service they want. Client will be doing your job for you. They will choose a plan, add their credit card number, so they are billing themselves! 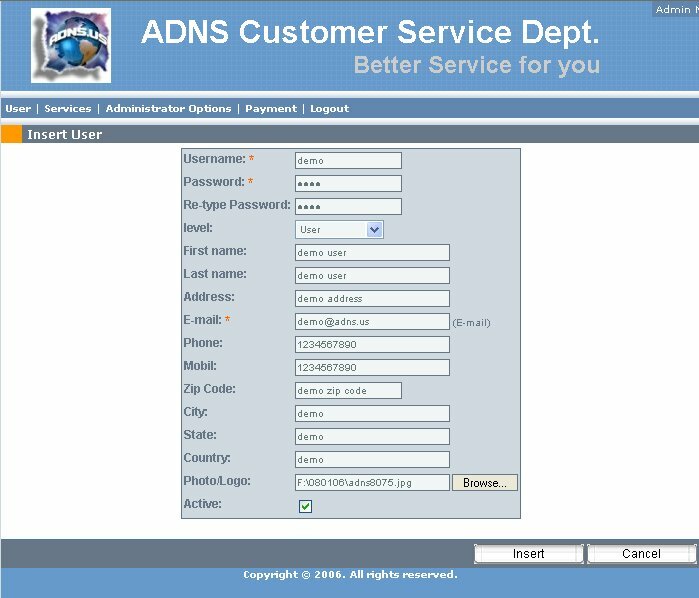 ADNS provides affordable dial up internet isp access, national dial up internet access and is an ISP for Miami.